SHANDONG PIPESOL is a high-tech professional manufacturer for water supply and drainage valves and pipe fittings, integrating with a set of research & development, design, production and sales in one professional unit, which has strong technical force, a number of professional staffs who worked within the pipeline supply and solution industry for nearly 30 years. Our team will meet every strict requirement of all our customers. 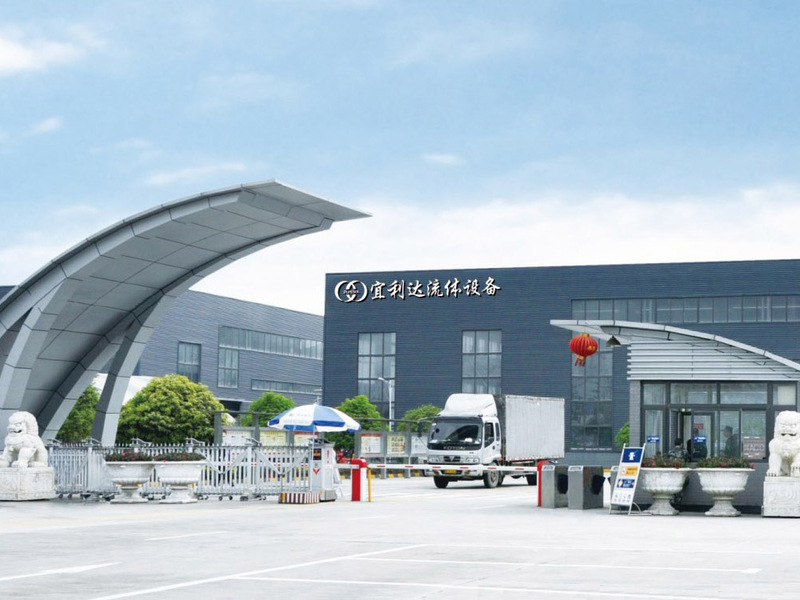 The company covers an area of 46690 m2 and has 360 staffs equipped with large-scale processing equipment, CNC machine tool, physics laboratory , automatic inspection test center, casting - processing - assembling - panting center, CAD development and design center and CIMS Computer Network Management System. 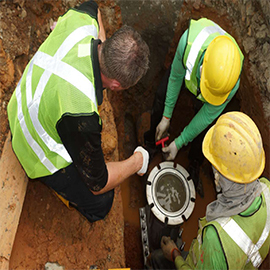 The company is specialized in water supply and drainage system`s design - production -marketing - after service. 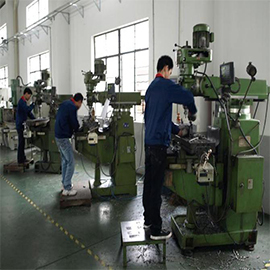 We can make products according to GB, ASTM, DIN, JIS and ISO standards, as well as the non- standard products. Our products are exported to Europe, America and South East Asia. 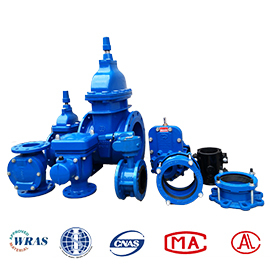 Main products: Resilient Seated Gate Valves, Hivent Double Orifice Air Release & Vacuum Valves, Combined Valve Tee, Butterfly Valves, Pipe Repair Clamps, Pipe Joints & DI Pipe Fittings and so on, with diameter from DN40 to DN3600,which are widely used in water supply and drainage, oil and fire and other water projects. The company has passed ISO9001 quality system certification. 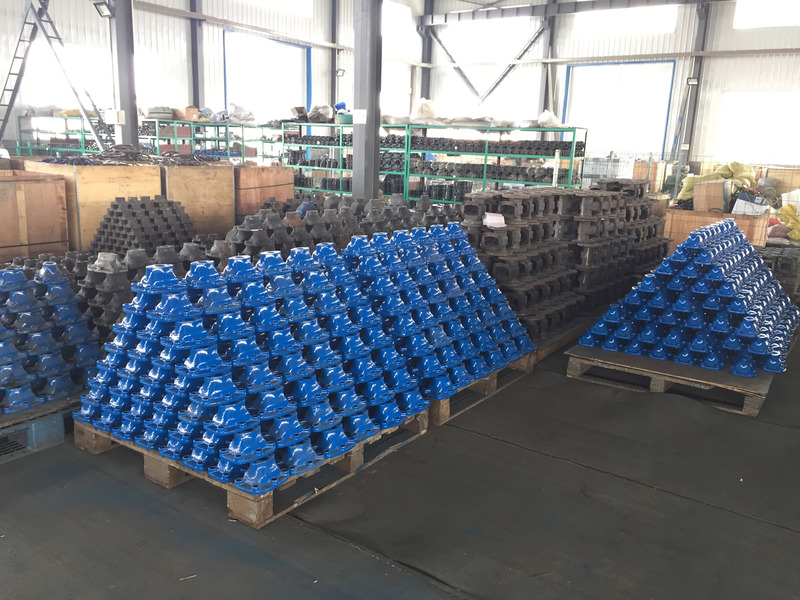 The product`s structure, performance and quality have reached the international advanced level, can satisfy the requirements of different customers. At the same time, Hivent Double Orifice Air Release & Vacuum Valve,Combined Valve Tee, etc have been obtained national patent. Our company has always been adhering to the "quality first, customer first" business purpose, sincerely to cooperate with you. Provide customers with more high quality products and perfect service is our unremitting pursue goal .Warmly welcome customers at home and abroad to visit our company.